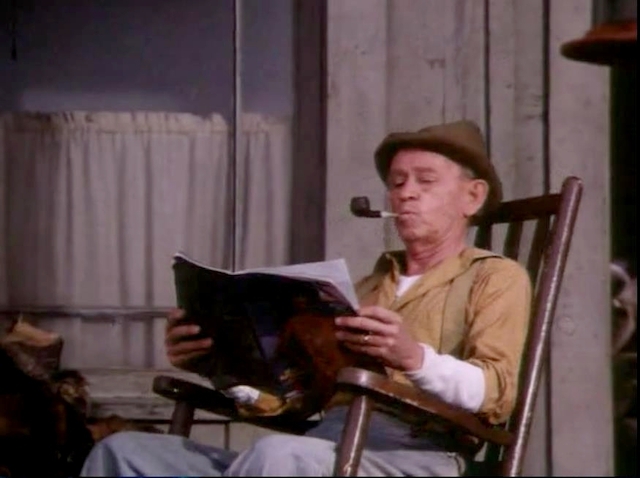 Dukes of Hazzard - Season 1 episode 10, when everything around is a mess the old papa is cool. I am smoking Pipe Shop.net Special Line No. 21 Elizabeth. Half way through this bowl of Edward G. Robinson's Pipe Blend in a 2014 Basil Meadows smooth slight bend squashed tomato with an aluminum band and a black pearl acrylic stem. Up early to make a couple business calls. A quarter of the way through this bowl of C&D White Lightning in a medium bend smooth paneled 2017 Celebi Turkish Meerschaum with a gold and black swirl acrylic stem. A cup of hot tea is my drink. Now smoking Esoterica Dorchester in a smooth straight WW2 Pre-Republic Peterson Sterling Canadian with a sterling silver band and a black vulcanite p-lip stem. A bottle of Reading Draft Grape Smoothie made with pure cane sugar is my drink. Now smoking 1970s Prince Albert in a slight bend black sandblasted Lorenzo Elba Imperia 8636 with an amber colored acrylic stem. A can of the very delicious Hansen's Mandarin Lime made with pure cane sugar is my drink. 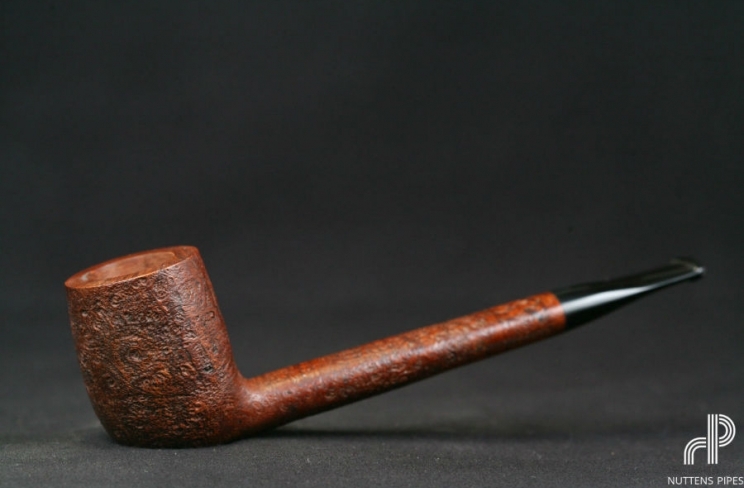 Half way through this bowl of C&D Dreams of Kadath in a mid-70s straight smooth octagonal paneled Jeanet (made by Chacom) billiard with a black vulcanite saddle stem. 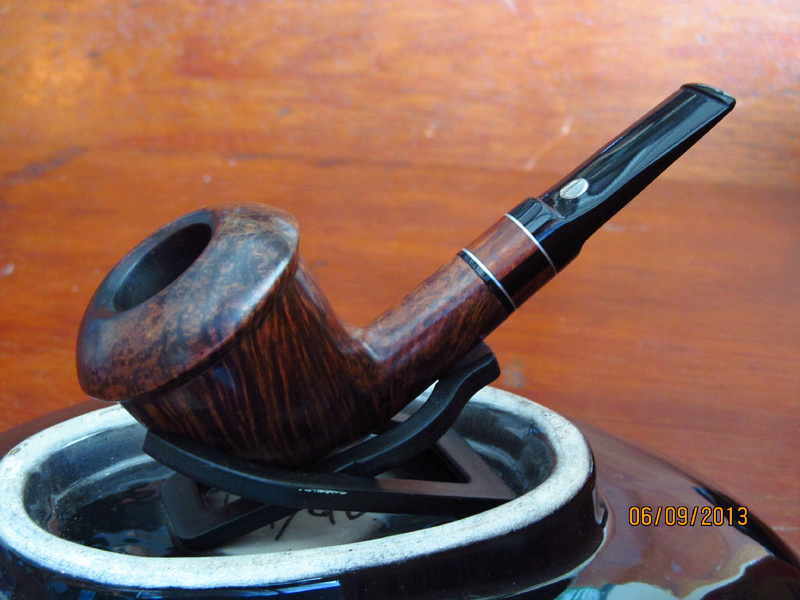 Now smoking 1970s Granger in a 2013 straight 5th Avenue DGE Nose warmer cob with a black vulcanite stem. Ice tea and bergs is my drink. A third of the way through this bowl Sillem’s Councilor 1695 in a smooth straight early 1960s Lane era Charatan Executive Extra Large stretch apple with diagonal channel cuts on the lower right and left of the bowl along with a black vulcanite double comfort stem. This pipe was formerly owned by actor William Conrad. Ice water and bergs is my evening drink. Year 1936 Briggs Mixture in a smooth medium bend 2002 Peterson Sherlock Holmes Series Milverton with a sterling silver band and a black vulcanite p-lip stem. Now smoking D&R Windsail Platinum in a 1982 smooth straight Sasieni Ivory 105 Apple with a black vulcanite stem. This will get me to pizza time! Solani 633 in my Mastro de Paja Calabash. Relaxing after a great pizza dinner with a bowl of C&D Speakeasy in a 1970s medium bend brown Caminetto 205 Business egg with a long black acrylic saddle stem. Watching The Lone Ranger. OGS after a light b'fast in the dedicated estate Sav 316 Oscar Lucite. Late morning saw some BBQ blend from da Wiz in my newly acquired estate Brebbia Calabash RTDA 2001. 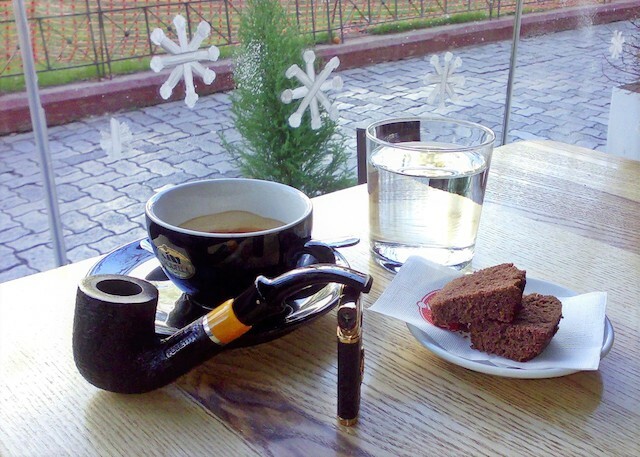 What a great combination and fantastic pipe! Mid afternoon saw some CH in another recent estate acquisition - a Mario Grande Rhody. This has the largest button I've ever experienced and the bowl is capacious, but it all works well together. My first (and not last) Mario Grande! Have some aged St. Bruno ready for after supper. Just got in a Randy Wiley Galleon partial blast 1/2 bent doggie from the Blue Room boyz. Their work is immaculate, and their CS is without peer. It's my second Wiley pipe. The first one is a workhorse, and got it back in '01 or so. Always wanted to get in a second Wiley, and now here it is! I expect great things! After a flat-iron steak, baked potato, and bean caserole dinner, I'm smoking some English Hoopla again, this time in my Savinelli 320. This English Hoopla is becoming one of my favorite latakia blends. Almost finished smoking MacBaren Golden Extra in a 2002 smooth Rinaldo Silver Line 3 EGER 05 paneled horn with a black acrylic stem. Part way through this bowl of vintage VaPer Three Nuns in a 1938 straight black grain relief Dunhill OX Shell bulldog with a silver band repair with a black vulcanite stem. Watching Mannix. Finishing the day with another bowl of Royal Yacht, this one in a Peterson Premier tanshell st. bulldog w/ saddle bit. It was tan years ago but is almost black now! A third of the way through this bowl of P&W #515 in a 1998 smooth straight Butz-Choquin Bistro 1501 pot with a black vulcanite stem. Part way through this bowl of Park Lane Connoisseur in a 1979 pebble relief Verona Corallo 3080 natural Oom Paul with a black acrylic stem.